After graduate school, studio owner Caryn Connarton was a physical therapist at the elite Burdenko Water and Sports Therapy Institute. The runners, ballet dancers, tennis players, rowers, skaters and swimmers she worked with loved to exercise, but they didn’t want to slow down for physical therapy. Caryn designed therapeutic workouts for them, essentially “sneaking in” physical therapy into an otherwise challenging exercise routine. 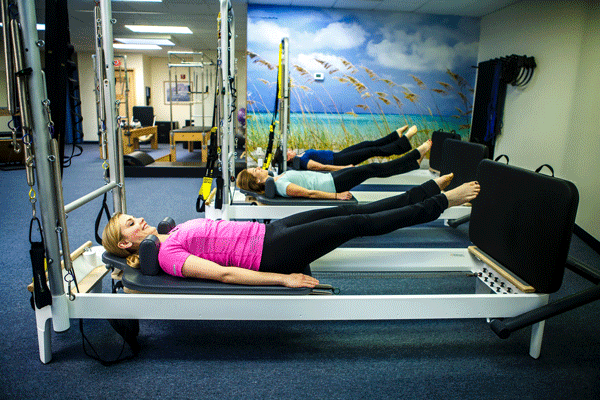 When Caryn discovered pilates in 1999, she knew instantly the pilates exercises and the pilates equipment would be exactly what her athletic clients were looking for. 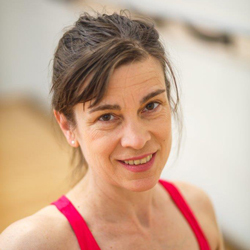 So she completed the STOTT PILATES certification and opened the studio in 2002. 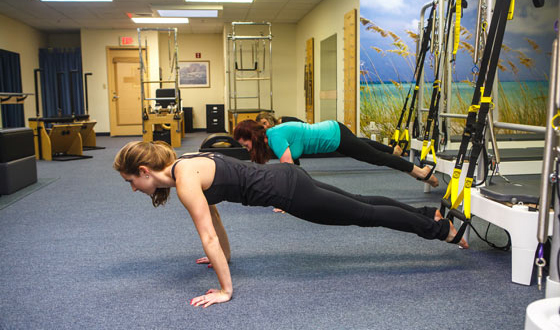 At the studio, Caryn offers Pilates-based physical therapy and there is a little physical therapy injected into all the group classes. You’ll regularly see people using foam rollers, massage balls and other PT toys before and after class. 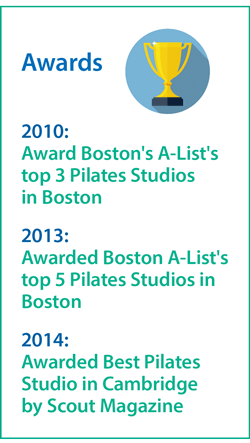 In 2011, Caryn’s sister Monica introduced her to Barre classes. 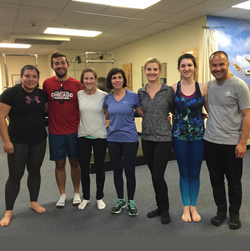 Impressed with the noticeably quick results this class delivered, Caryn designed a barre class program for Beyond Fitness that kept all the fun and intensity of these classes and added the most efficient research-based exercises and of course, some artfully therapeutic elements. Hands down though, the single best part about the Beyond Fitness Pilates and Barre Studio is the community of intelligent, funny, interesting, and supportive people it brings together. It very much feels like your neighborhood pilates studio. Let’s face it, we all workout better in a group. Come check us out, and see how quickly you join the club. Beyond Fitness expanded in 2015. Now it has a new studio room for our pilates mat and barre classes, stocked with every pilates and barre prop created, including STOTT arc barrels. 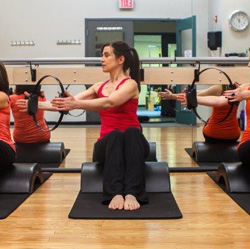 Across the hall, we teach our group pilates machine classes and our private sessions in our machine studio, well equipped with Balanced Body and STOTT PILATES equipment and various physical therapy tools and toys. Read what students of all ages and experience levels say about our studio!